In this section, Moses was concerned that the Israelites would not believe that he communicated directly with God. What we can take from this is that in essence, we are talking about humanity today. Moses said that if the Israelites do not listen to him, how would Pharaoh listen? On one level, these verses teach us that we must first tackle our own problems before going after the larger issues; we must first convince ourselves of the purity of our intentions and our sincerity before taking on the world. The Zohar explains that besides expressing the humility of his nature through his words to God, Moses was saying that the Israelites were not familiar with his level of consciousness. He was implying that words would have no meaning to them, since his understanding is beyond words; the Light that is not in the realm of physical reality. We cannot accomplish miracles without an understanding that the non-rational, metaphysical part of our consciousness is the only aspect that will remove darkness from our lives. This is an incredible lesson from the Zohar. Even the Bible said that God had to remind Moses that it was He who created him, created his mouth, and who created mankind. God said to Moses, “If I tell you to talk to Pharaoh, why do you not believe in Me?” Why did God not just give Moses the ability to speak immediately? Both a second and a third time God had to tell Moses to go speak to Pharaoh, and he still received the answer about uncircumcised lips. What kind of dialogue is this? It seems ridiculous. There is a poignant lesson here; says the Zohar, we are not dealing with actual lips, and we are not discussing a circumcision; instead it has to do with the concept of what circumcision is all about. The Zohar says that there are two parts to every expression. We know the power of words; sometimes we say things and we do not mean them. Every word consists of two parts: the sound or note, and the formation of the word. Music consists of sounds, and notes are on a higher level than the words. For this reason, music is of a higher quality than words. 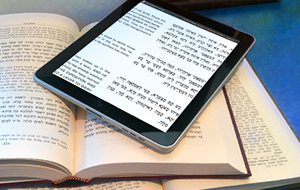 This is why the notes do not appear in the Torah Scroll. The notes and the sounds are Zeir Anpin, says the Zohar, while the lips are the physical manifestation, the Malchut level. The Zohar says that the contrast between the physical and spiritual dimensions is what this conversation between God and Moses is about. When God said that he had to speak to Pharaoh and Moses responded with the excuse about uncircumcised lips, Moses wished to teach us a lesson. The lips—just like the foreskin—contain the concentration of the energy of Satan. When we speak, as the old kabbalistic saying goes, what emerges from the heart reaches the heart of the other person. Sometimes we can talk and talk, and we say it is falling on deaf ears. When true communication does not happen, the problem could be that it is not coming from the right place or that the words cannot be expressed, cannot come into the level of Malchut, so the ears close shut and the person shuts down. My teacher, Rav Brandwein, used to say that some words are not supposed to be understood, and that people sometimes are not supposed to hear. This dialogue between God and Moses is about voice and words. The Israelites could not listen to him because he was coming from that higher level to which they had not yet ascended. This whole conversation between God and Moshe takes place before all the plagues are thrust on Pharaoh, which is why it had to be Aaron who would speak and not Moses. Read the full Zohar portion of Va’era and connect to the energy of the week here.